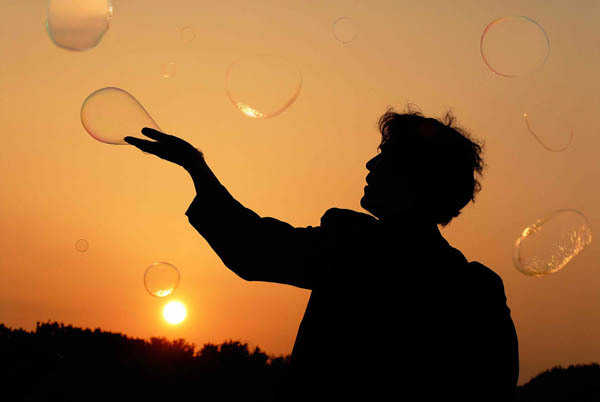 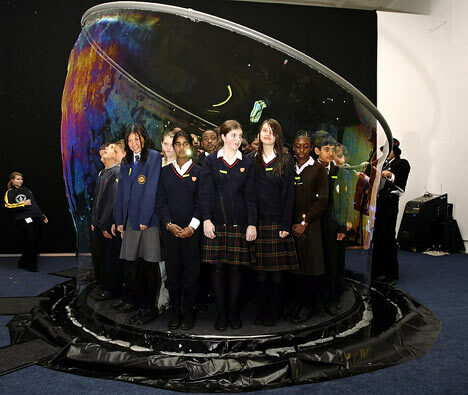 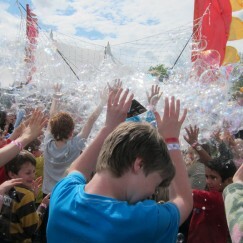 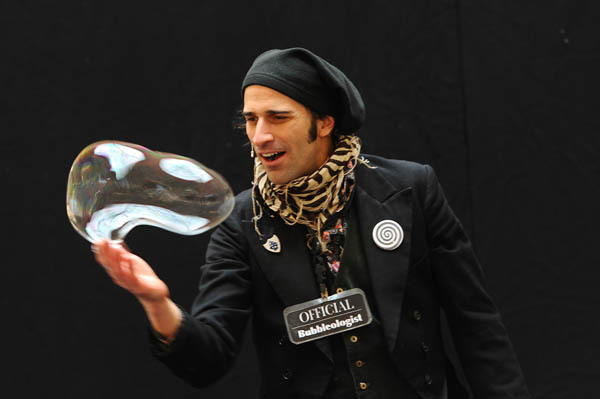 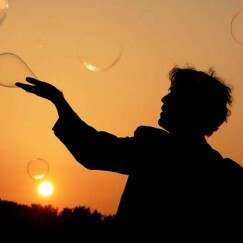 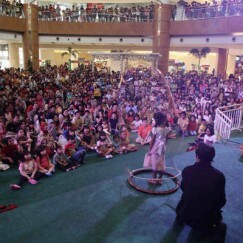 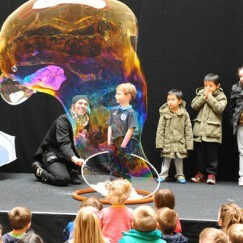 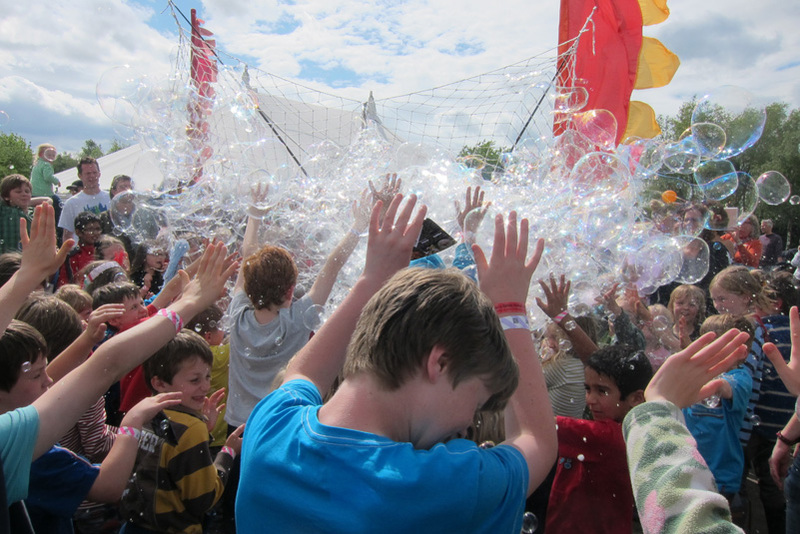 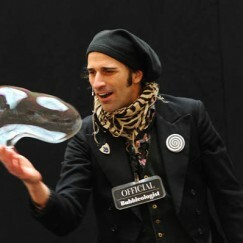 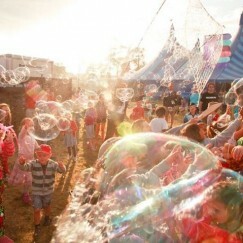 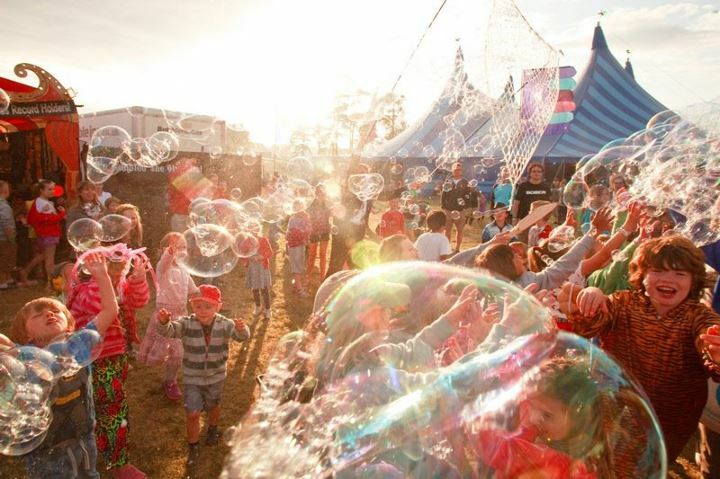 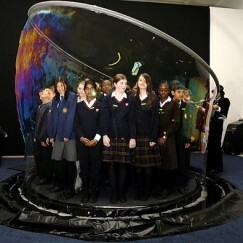 Award winning Bubbleologists provide amazing, unusual entertainmet for all types of events. 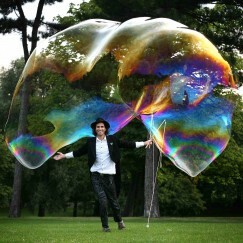 Bubbles beyond your wildest dreams! 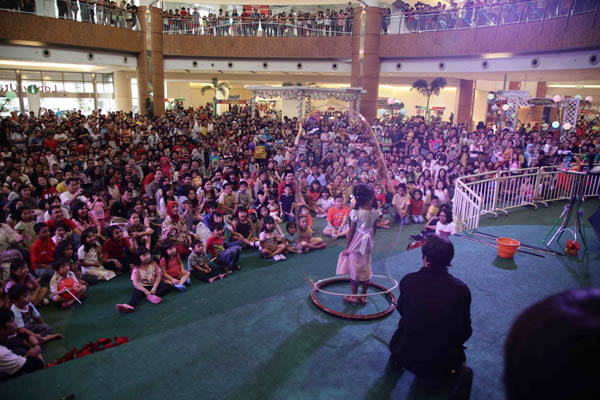 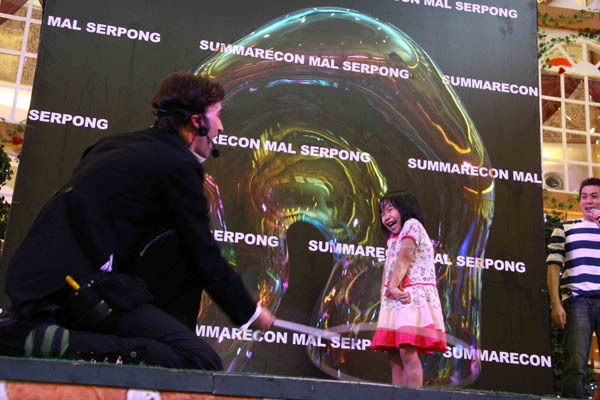 These bubble performances are like nothing you’ve seen before! 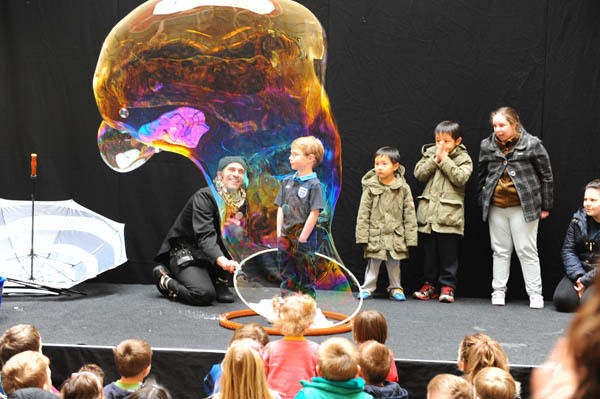 From birthday parties to corporate events, stage shows, to interactive ‘mix and mingle’ walkabouts, these bubbleologists are the perfect entertainment. 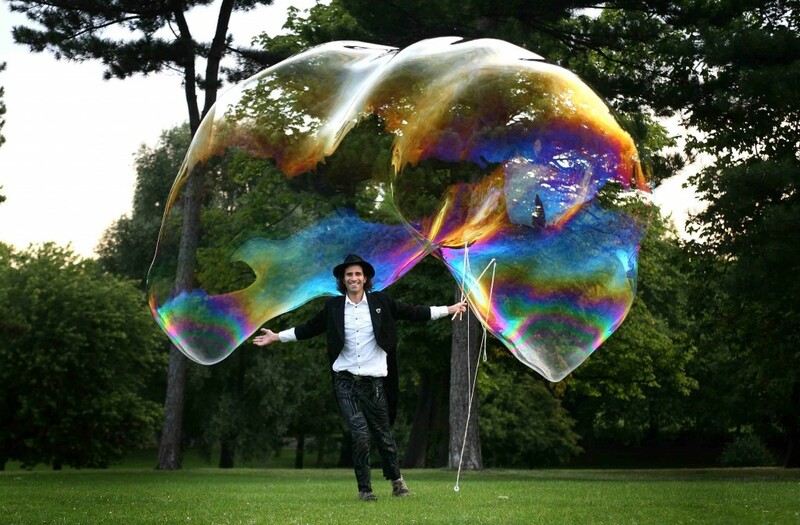 Not one to sit on his laurels, the head Bubble Man who holds nine separate bubble related Guinness Book of World Records, was recently commissioned by the 2012 Olympics to create vast fields of bubbles for the prestigious opening ceremony! 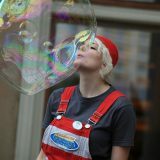 Whether putting you in a giant bubble, creating all manner of whimsical shapes, or using their newly invented “Wonder Webs” to disperse thousands of bubbles at once, your guests will be enchanted.